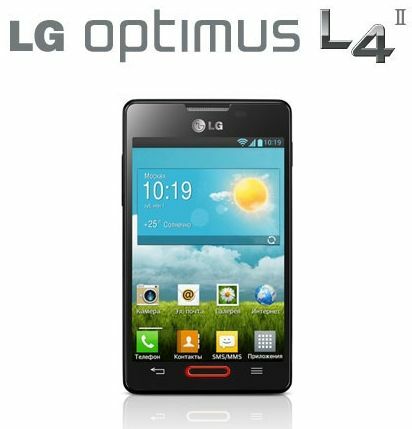 LG electronics has announced a new budget friendly Android smartphone dubbed as LG Optimus L4 II in the market. The phone is running Android 4.1 Jelly Bean operating system and comes with a 3.8inch IPS display screen. Initially LG is making it available in the Russian and Ukrainian markets and priced it for $175. There is no information on the availability of the phone in the other regions including India. LG is also going to launch a new dual SIM version of the LG Optimus L4 II, but there is no info about the launching date of the dual version. LG Optimus L4 II is available to buy in Black and White color coices in Russia and Ukraine. Features of the phone indicate that it will be joining the club of the entry level Android devices in the Indian smartphone market.